Browsing the internet you see several different types of aesthetics when it comes to tables or bar stools from the 20th century. The following are some examples I have found that I think illustrate these aesthetics fairly well. The image above shows a very minimalistic aesthetic that blends with an industrial look. The piece seems to be made of purely bent square tube steel with flat sheet steel as the surface. It seems that the minimalistic style/aesthetic is a timeless option that people will always enjoy and be drawn too. Simplicity has an uncanny appeal to us especially when it comes to living quarters and arrangements. 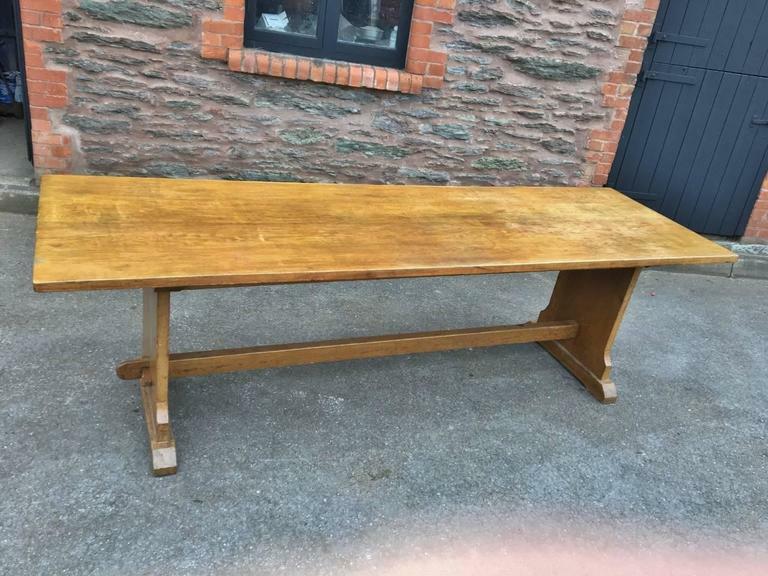 My plans for the bar table don’t really share any aesthetics with this style or design. I plan on using multiple materials, with numerous colors and there will definitely be elements of the furniture that aren’t essential for the functionality, but will hopefully add to the aesthetic. The farm table above really pulls from the Arts and Crafts aesthetic. The simple design, most likely made by a middle class worker strays away from anything industrial and focuses on traditional craftsmanship. I think the table top of my bar table will pull from this aesthetic. The natural wood top that focuses on the craftsmanship and natural material trends more toward this aesthetic. Hey Andrew, I’m really a big fan of minimalism. So it’s so great to see you compare this design philosophy with you final project! After this course, you will not only gain the general idea of the aesthetics of design but also a pretty practical bar table! For the Arts and Crafts, I think it will be a bit challenging to find the balance with portion and entirety. Andrew – I really like the minimalistic tables, dont you? For something so useful and structural, minimalism can be very hard to achieve. With that being said, I like that you are taking your project a step further and are going all out on your aesthetic. 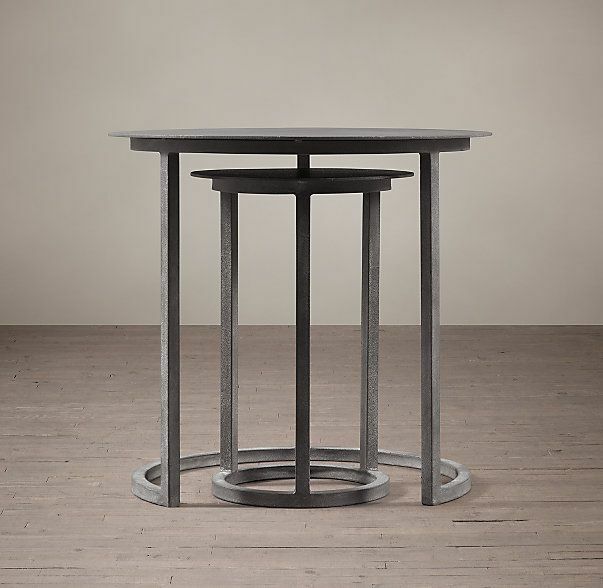 I wonder if you can incorporate a Bauhaus furniture style in your table? Please let me know your thoughts.